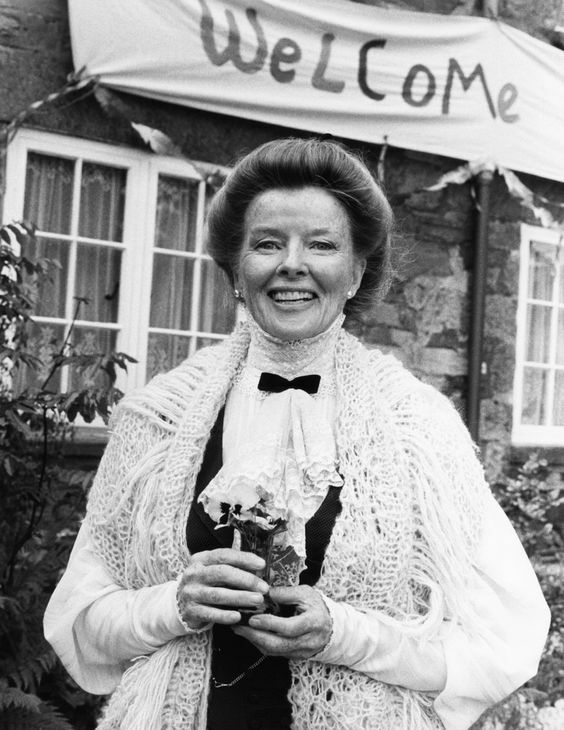 Today, I'm reviewing the 1979 TV version of The Corn Is Green starring Katharine Hepburn. 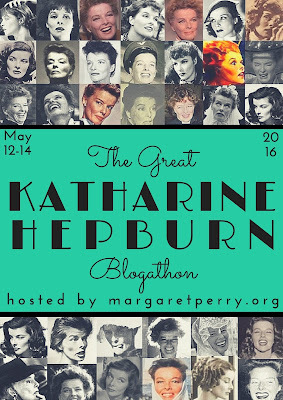 This article is part of The Great Katharine Hepburn Blogathon hosted by margaretperry.org. Director George Cukor and actress Katharine Hepburn are one of old Hollywood's legendary partnerships. They made several classic films together, including Little Women (1933), The Philadelphia Story (1940), and Adam's Rib (1949). 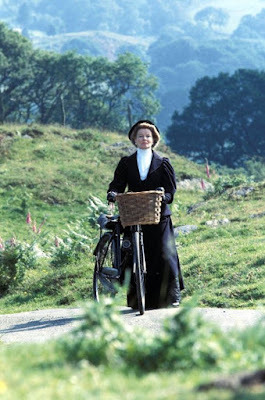 Their final film together was the gentle drama, The Corn Is Green (1979), which feaures Hepburn as a no-nonsense 19th century schoolteacher in rural Wales. The Corn Is Green tells the story of Lilly Moffat (Hepburn), a middle-aged woman who inherits a large home in a rural Welsh coal-mining village. 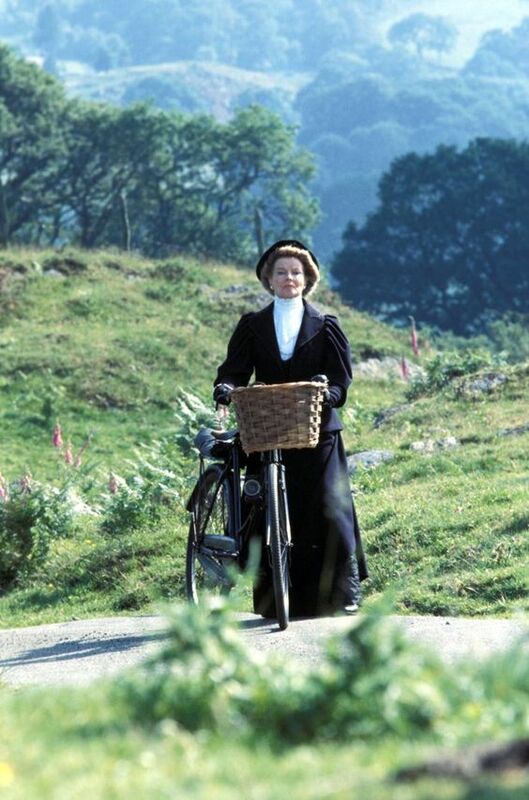 Miss Moffat isn't the type to settle down for a quiet retirement, so she recruits a couple of local friends (Artro Morris, Anna Massey) and starts a school for the children of the miners. Through a stroke of luck, Miss Moffat spots the untapped potential in a teenage miner, Morgan Evans (Ian Saynor), and begins to train him for a scholarship to Oxford University. 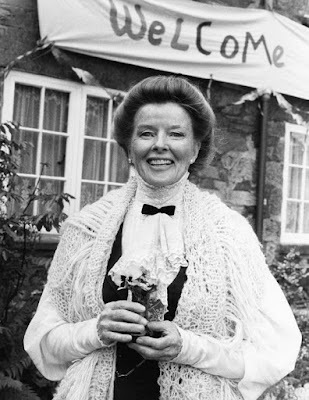 Katharine Hepburn in the beautiful Welsh countryside while filming The Corn Is Green (1979). The Corn Is Green began as a stage play from Welsh writer Emlyn Williams, who based it on his own past as a poor scholarship student who studied with a teacher named Sarah Grace Cooke. The play, which featured Ethel Barrymore as Miss Moffat, was a Broadway smash, and Warner Bros. quickly snapped up the rights for a 1945 screen version that starred Bette Davis. By 1979, old Hollywood stars like Davis and Hepburn were, for the most part, no longer big box office at movie theaters, but TV viewers still welcomed them into their homes on the small screen. Cukor, Hepburn, and Laurence Olivier made a 1975 TV movie, Love Among the Ruins, that was an unqualified smash. It won a Peabody Award and seven Emmys, including best director for Cukor and best actress for Hepburn. 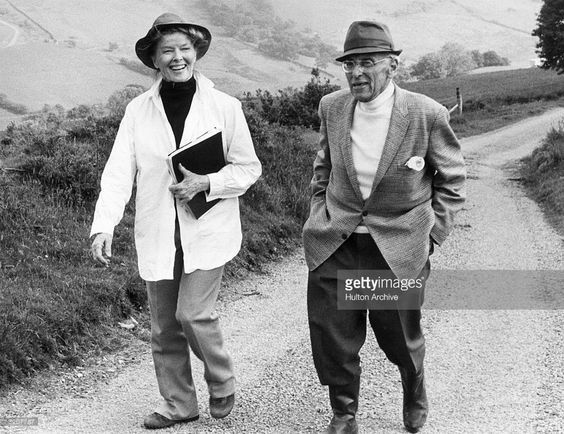 Katharine Hepburn and George Cukor in North Wales while filming The Corn Is Green (1979). Warner Bros. Television and CBS then decided to re-team Cukor and Hepburn for a sentimental version of The Corn Is Green that was filmed on location in England and North Wales. The location shooting is one of the film's great assets -- the 1945 version was filmed on Hollywood sets -- and Cukor uses the stunning vistas to great effect. The British setting also gave Cukor access to some great actors. The director was known for his sensitive direction of actors, and the cast here is exceptional, especially Saynor as the brilliant, but conflicted Morgan and Toyah Wilcox, who steals every scene she's in as the bored daughter of Miss Moffat's housekeeper (Patricia Hayes). Despite the great cast, The Corn Is Green is a showcase for Hepburn. At 71, she looks exceptionally beautiful in her Edwardian costumes, and the role of Miss Moffat gives her the chance to play her well-established public persona to the hilt; much of the time, Miss Moffat comes across as an older version of Jo March or Rose Sayer from The African Queen (1951). She is a force of nature who never takes no for an answer and doles out sensible advice in her distinctive Yankee accent. Her fellow teacher, Miss Ronberry, is the frequent target of her improving aphorisms: when Miss Ronberry laments the fact that she is 30 and unmarried Miss Moffat basically tells her to buck up and get over it, and when Miss Ronberry mentions feeling depressed, Miss Moffat says, "you just have to fight it." However, the best moments in The Corn Is Green are between Morgan and Miss Moffat. The two have an intriguing relationship: In many ways, Miss Moffat lives through Morgan because, as a man, he has greater opportunities (women could not attend Oxford at the time) and while Morgan greatly benefits from Miss Moffat's time and attention, he also chafes somewhat under her strict guidance, especially when his buddies make fun of him for being a teacher's pet. In the end, Miss Moffat sacrifices a great deal for Morgan, which Cukor illustrates in the film's poignant final scene. I don't want to give away too much, but Morgan, who has achieved more than he thought possible, has become a hero in his village, while Miss Moffat cheers him on from the shadows. The Corn Is Green is available on DVD.